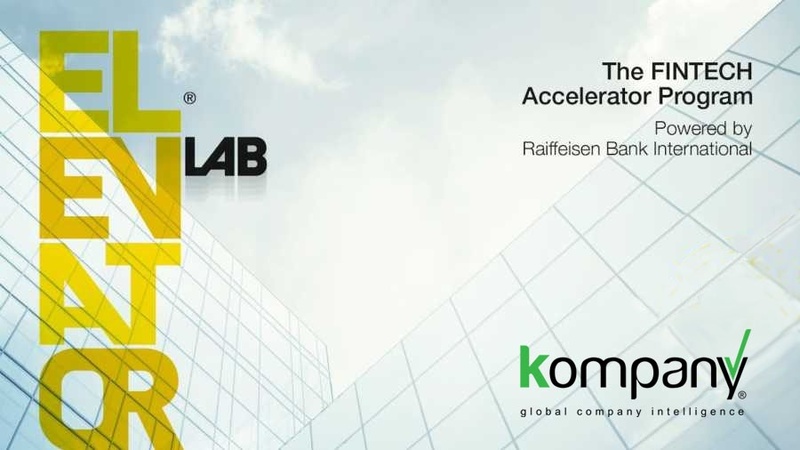 kompany is a proud winner and member of the first Elevator Lab Accelerator Program of Raiffeisen Bank International (RBI) - voted Best Bank in Central and Eastern Europe by Global Finance. RBI serves 16.5 million customers in 14 CEE markets with network banks in Hungary, Poland, Russia, and Ukraine among others. In addition, RBI has a number of strategic subsidiaries, such as Raiffeisen Centrobank AG, Raiffeisen Bausparkasse GmbH and UNIQA Insurance Group AG. The RBI project has kicked-off with joint workshops for each of the members. The excellent organisation of the Elevator Lab and the buy-in of many interested RBI departments creates a unique and exceptional working environment. kompany’s extensive experience in the RegTech sector allows us to provide an advanced digital solution to RBI, catering for the imminent challenges and risks of Business Know-Your-Customer (KYC) . Planning and detailed requirement gathering is ongoing through open communication and a smooth exchange between subject matter experts of RBI and kompany. Our joint objective is to create a solution that will enhance Business-KYC processes within RBI, making them more efficient and streamlined. The existing kompany Business KYC platform offers the ideal foundation to achieve this goal with our real-time access to authoritative data for over 150 jurisdictions and many value-adding-functionalities build specifically for global businesses. In the next weeks, our tools will be adapted using the input from RBI to create the highly needed and overdue Blueprint for Business KYC carved specifically to the needs of major European banks.